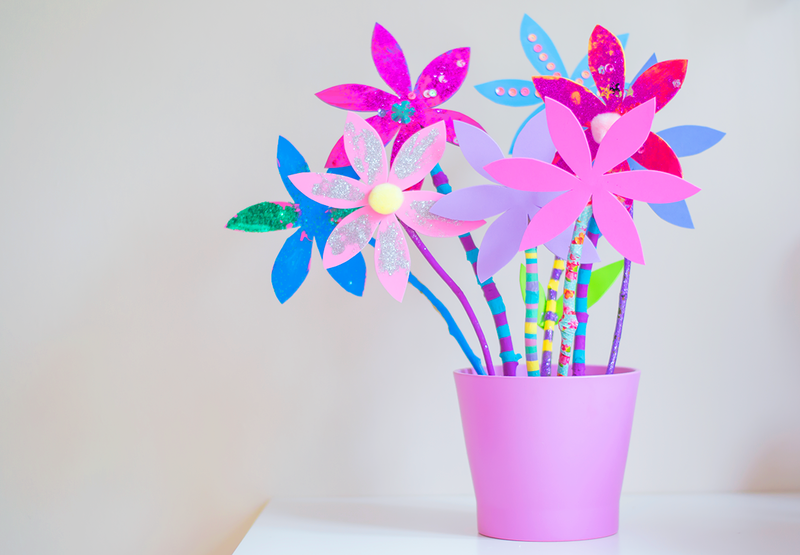 These foam flowers are yet another craft using sticks, following on from the stick flags and stick doll’s bed I made recently, it’s safe to say I am little bit obsessed with stick crafts! We have piles of sticks outside the front of our house so every time I get out of the car I end up bringing a pile into our garden. 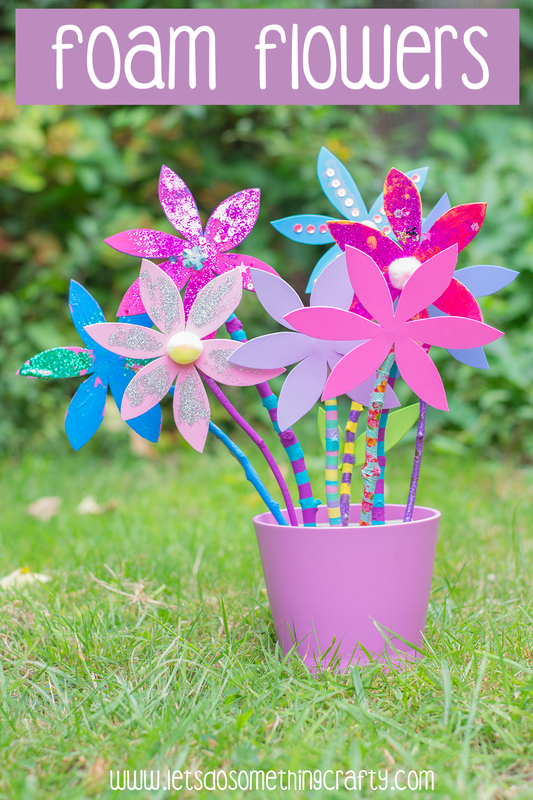 To start you need to cut the foam sheets into flower shapes and stick them to the sticks using the glue gun. Then we decorated them in a variety of ways. 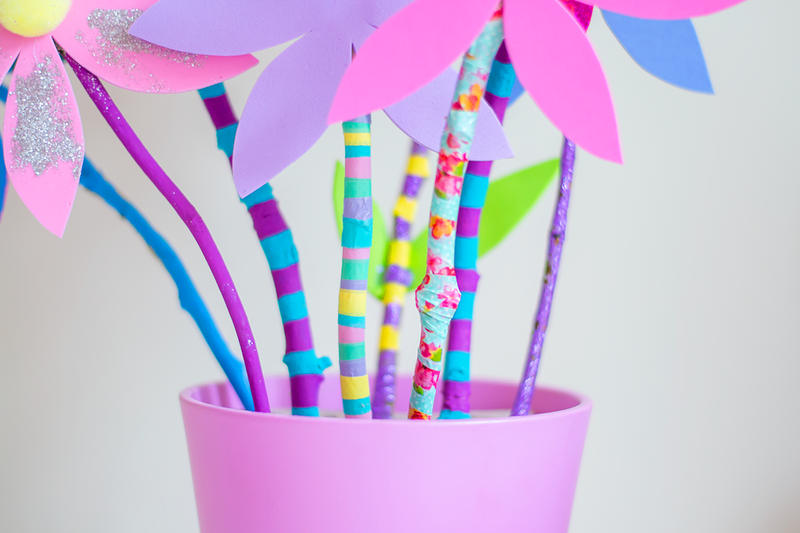 We used washi tape, glue and glitter or acrylic paint to decorate the sticks. We also cut some leaves out of foam and stuck those on. Then used PVA glue to stick on sequins, don’t forget to put another layer on top so they don’t fall off, also do this with glitter to stop it shaking off everywhere! Cherry and her friend did these ones with kid’s paint and glitter. Then we stuck pom poms in the middle of some of them. I put some florist’s foam in a plant pot to stick the flowers in, this one was from Ikea and didn’t cost very much at all. 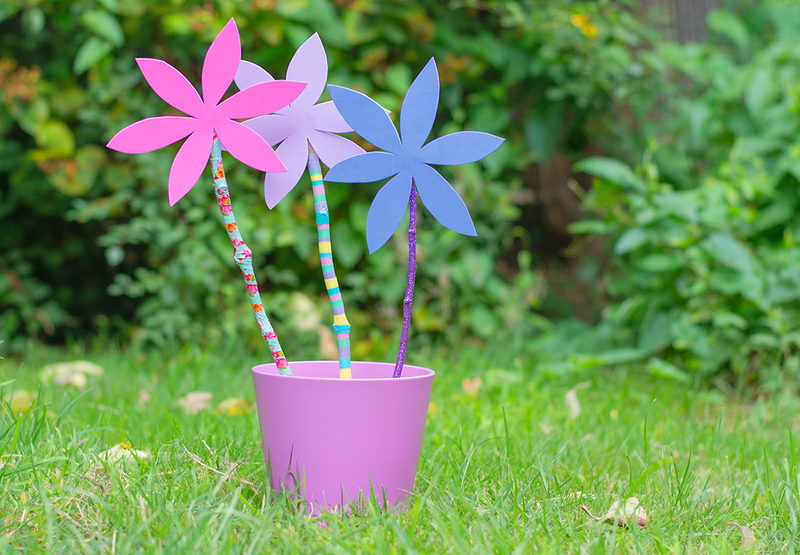 They are a great way to brighten up the house and would also make a great present. 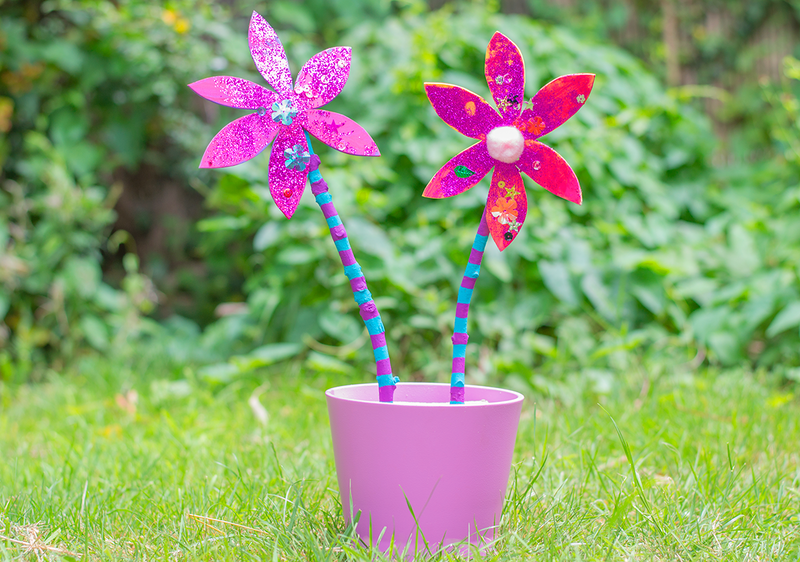 We had fun making them and it’s so nice to see a boring old stick turned into something so pretty! 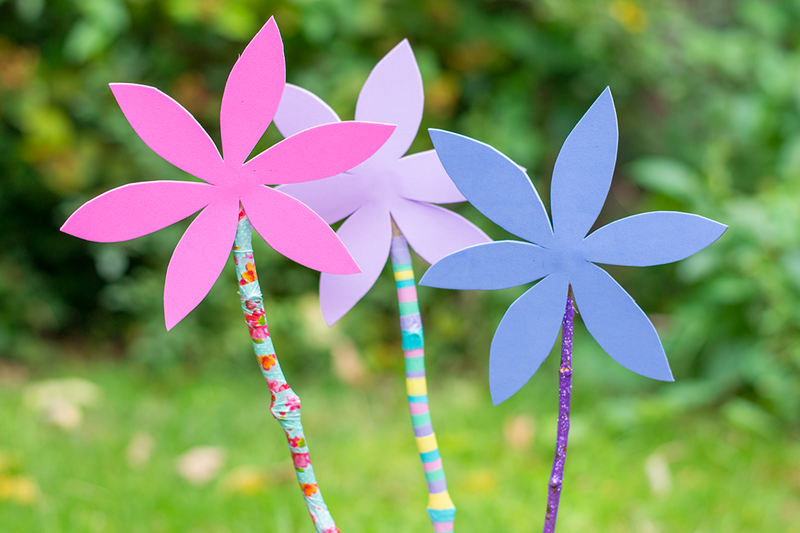 These felt flowers are so easy to make. These crepe paper flowers make a great alternative for real flowers, I made some for my friends wedding. 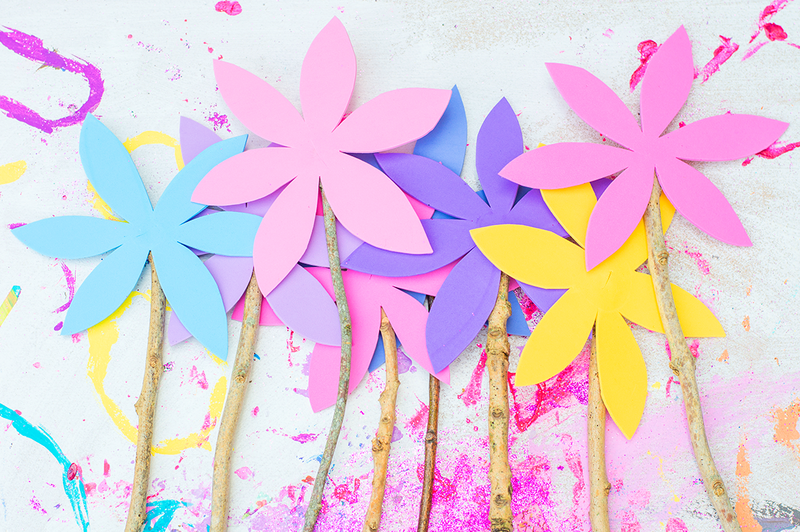 And these DIY flowers are made with rocks and pipe cleaners.